I can't believe we are nearing the end of April already...how can this be??? 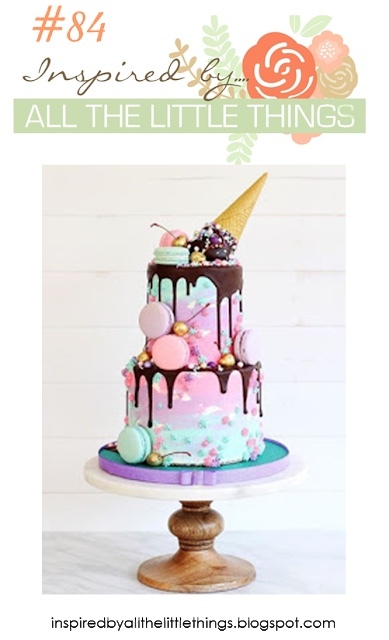 My inspiration for my card came from the overall party theme, the stars on the cake and the fun colors. Please don't forget to stop by the CHALLENGE BLOG for all the details on how to play along and to check out our Guest Designer for April Cat Craig @ Cat Luvs Paper along with our fabulous Design Team!!! Thanks for stopping by! Wishing you a fabulous weekend! 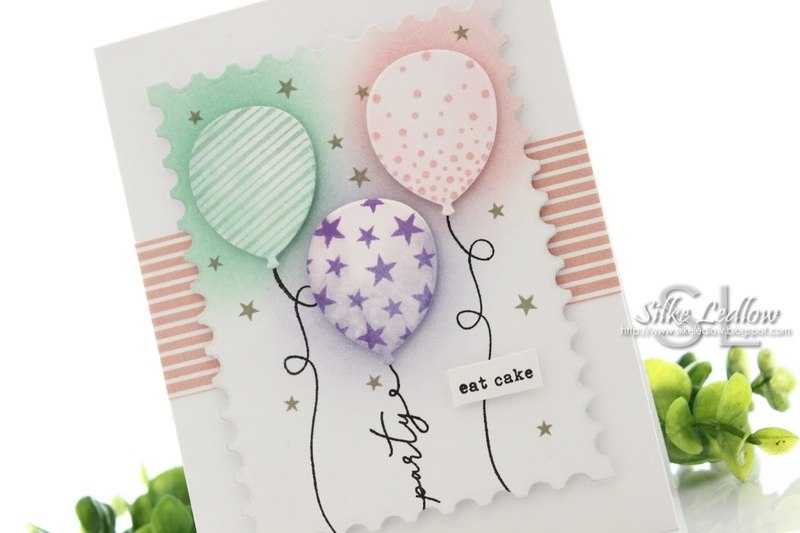 Such a fun card Silke! I love the party feel of it. Silke, this is such a gorgeous birthday card! Love the sentiment string on the balloon! I like the soft colors, very pretty Silke! I love this, Silke! Fabulous take on the inspiration photo! 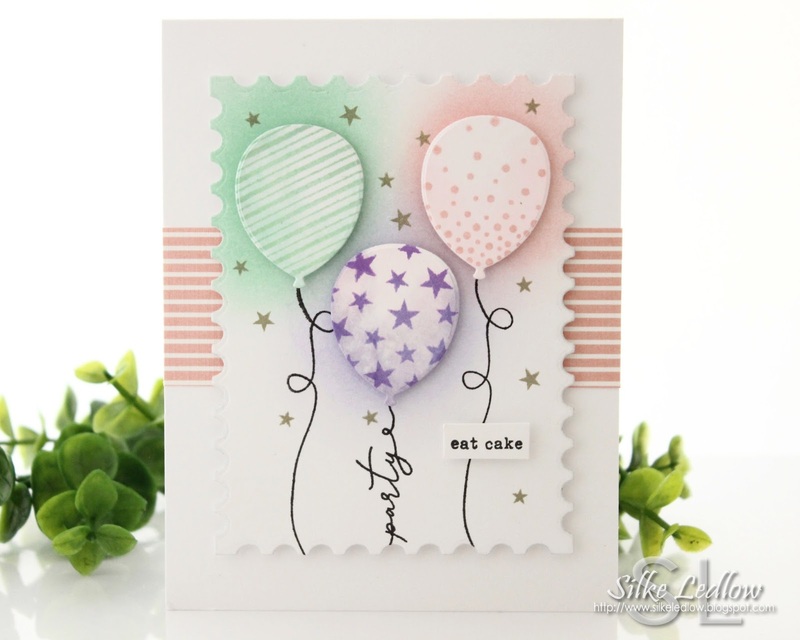 What a pretty birthday celebration card, Silke!! A great take on the inspiration photo for certain! Oh this is a darling fun and festive take on the challenge photo!